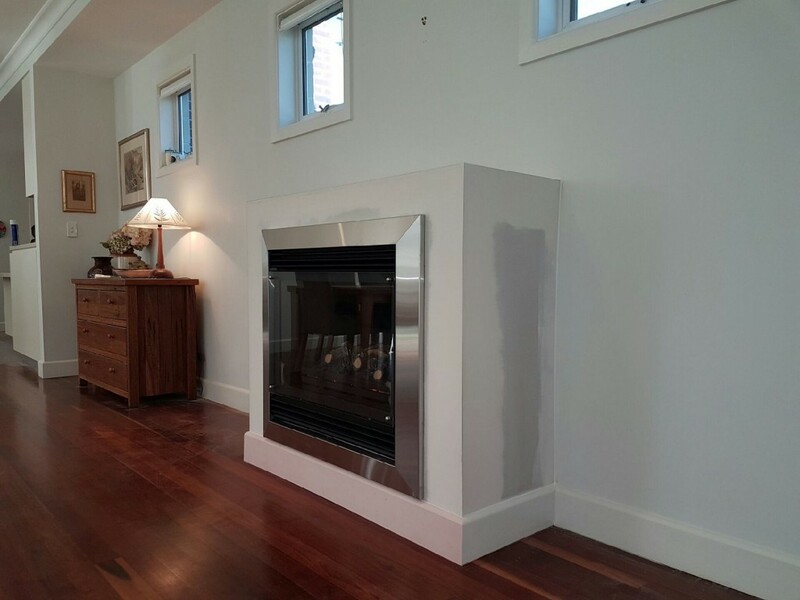 We wanted to share with you one of our many gas heater success stories today. This one comes in from Marlene and Michael at Breakfast Point. Marlene and Michael met with one of our fantastic reps, Peter at Sydney Heaters & Pizza Ovens, to discuss their heating needs in their beautiful home. Their home was a little too chilly and they were wanting a new heater to help complement the aesthetic of their home. Breakfast Point, as you may or may not know is one of the myriad of suburbs dotting the Parramatta River along the Western Suburbs of Sydney. Their location is truly gorgeous, but being alongside the river, the house can cool down tremendously in winter, making the right heating decisions essential for keeping the family warm. 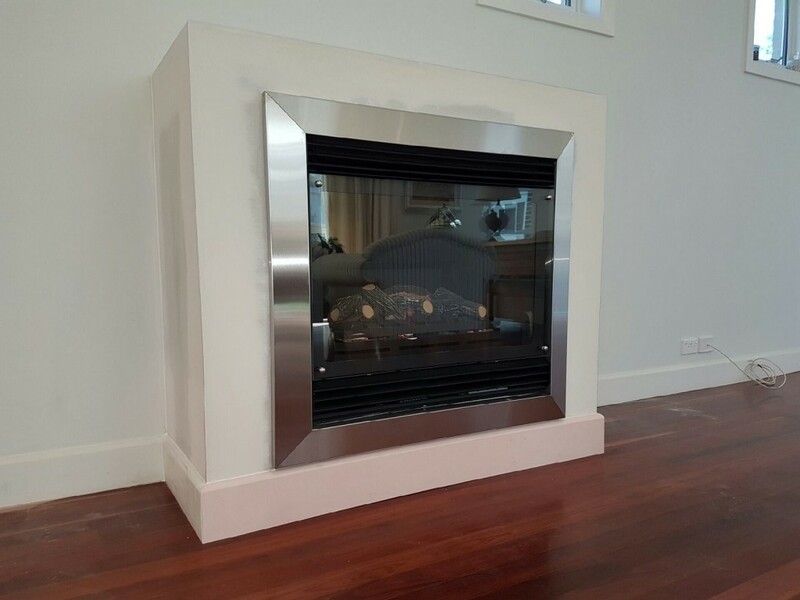 Consulting with Peter, the couple chose a Captiva model gas heater that would be inbuilt into their wall. The Real Flame Captiva gas fire is a space heater with a glass front that is perfect for heating large spaces. They chose this model because while it can heat a large area, it’s also economical on gas. They went with a stainless steel surround, however it also comes in black, too. Michael says that it’s due to Peter’s outstanding knowledge of heaters that they decided to choose the model that they did. Peter was able to expertly guide the two through which heaters would make the most sense for their space, heating requirements, aesthetic concerns, and budget, which is how they came to settle on the Captiva. We always follow through on a great installation service, too – we’re not just about sales here! The heater was installed along one of their halls in a living space just coming out from the wall. We were careful to match up the heater’s skirting with the original skirting in the home so that the heater looked like an original feature. The surrounds matched up with the wall perfectly. It was as if the heater has been a permanent feature already for many years! Marlene and Michael are very pleased with the outcome – and Peter especially! – and so are we. That’s why we’re a finalist for Outstanding Service & Trade in the Parramatta Local Awards this year. We love hearing stories about how happy our customers are with their new heaters! If you’re in the market for a new gas heater, wood heater, ethanol heater, or pellet heater, why not join the ranks of Marlene and Michael? Call us today on 1300 938 346, or stop into our large showroom at 151 Briens Road, Northmead. We’d love to help you with some winter heating tips and to pick out the perfect heater for your home.